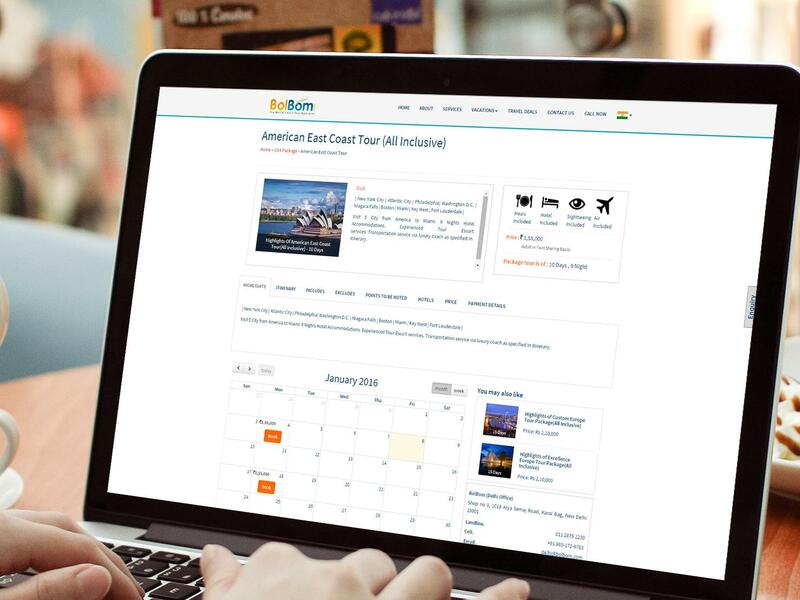 BOLBOM.COM is Incredible Air’s key travel brand. 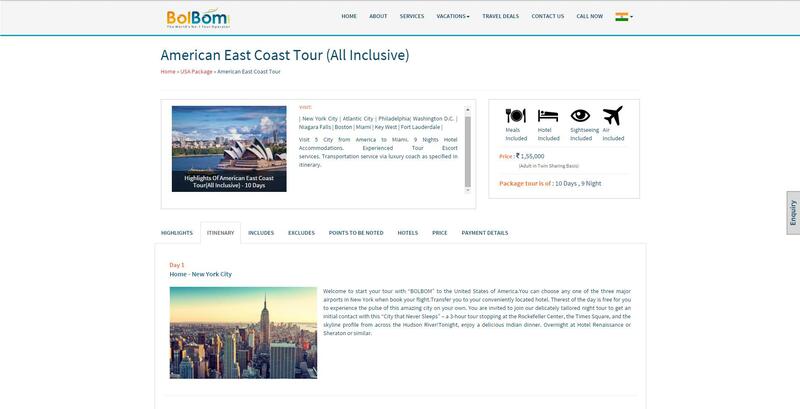 Also BOLBOM.COM is a division of Incredible Air. 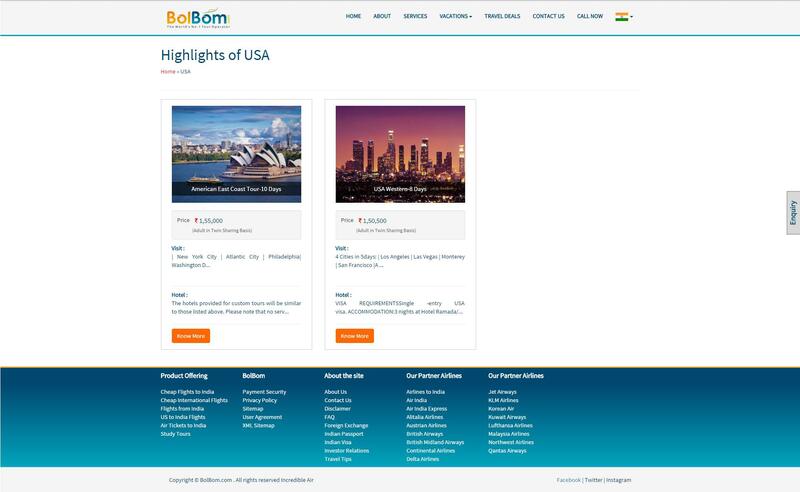 Incredible Air got established in the year 1976 and is identified by people at large as BOLBOM.COM in business since 1978. 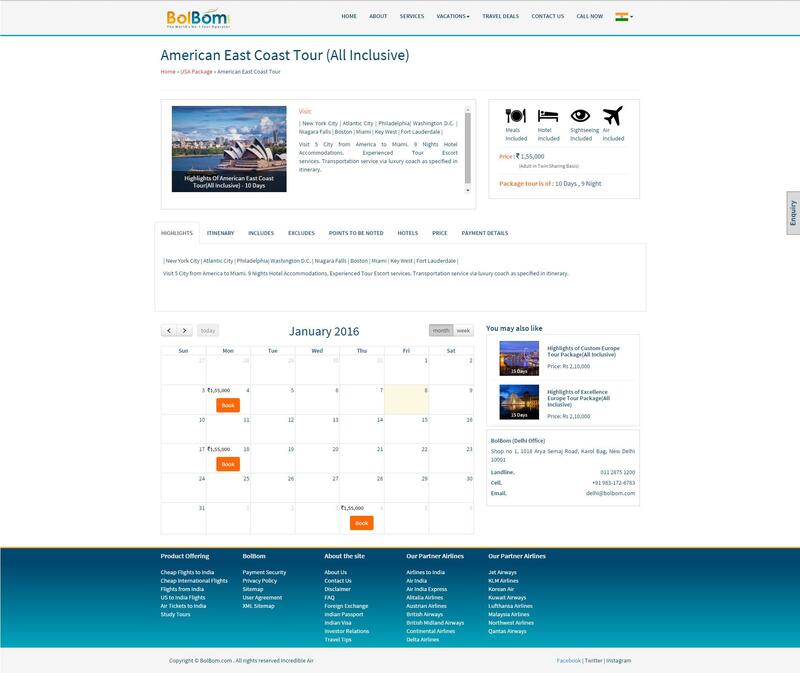 BOLBOM is now recognized as the highest producing Tour operator in America, Europe, India, South Asia and West Indies. 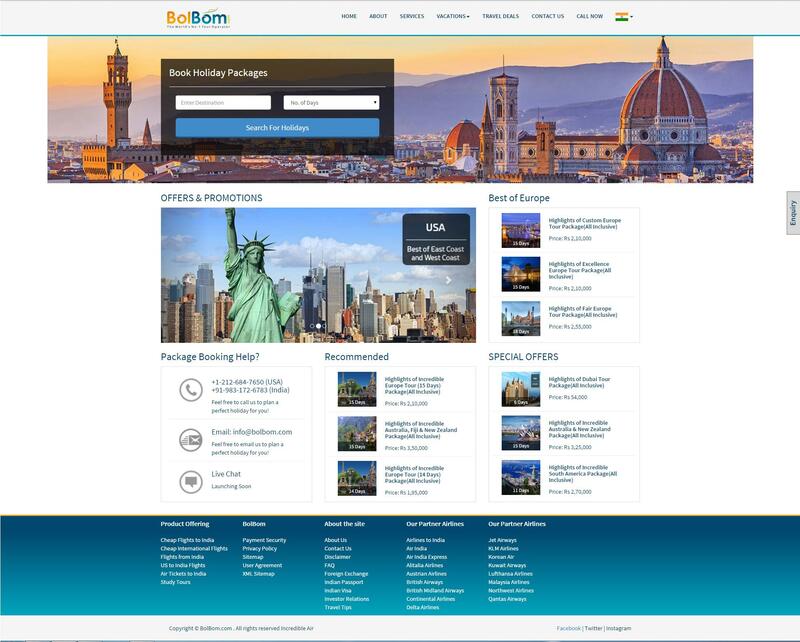 BOLBOM.COM World’s premium Tour Operator and is a leader in all travel segments namely Escorted Tours, Free Individual Travel and Domestic Holidays amongst others. 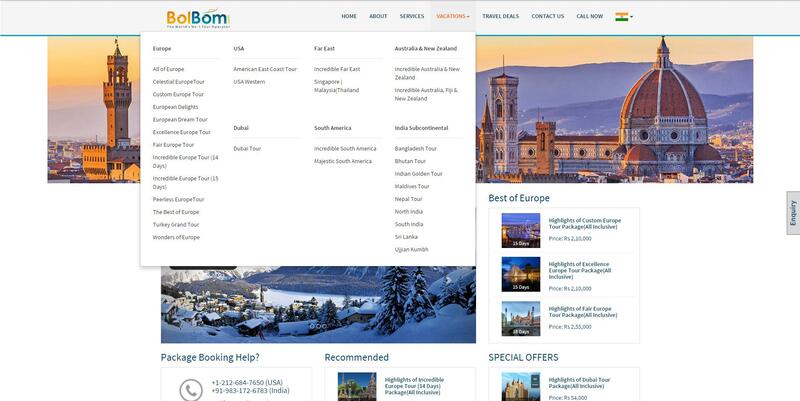 We have served travellers for years and won their smiles and hearts. The task was to create a the logo and a website where the cmpany could update the packages, add pictures and manage old packages. 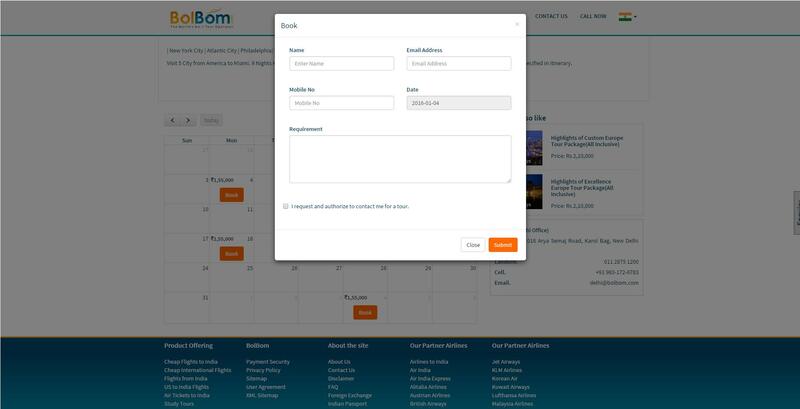 Online booking was also developed.